QUICK JUMP: Contestants Pageant Information How to compete in Miss American Ambassador 2018? American Ambassador Pageant Systems has numerous titles for girls, young women, and ladies to compete for, depending on their interests. They can complete for one or multiple titles on pageant weekend, since our ultimate goal is to allow them to pursue all of their interests. We are here to encourage and help our contestants reach their ultimate goals through teaching confidence, self-esteem, and acceptance. Once earning an American Ambassador title, the contestant is encouraged to promote their topic of interest within their community. Through Community Service, our queens not only give back to their community, but they pass on their knowledge to others. The American Ambassador Pageant System was designed to encourage and empower women of the future, through diplomacy, leadership, and diversity. The American Ambassador Pageant System is a natural pageant that has numerous titles and optionals that allow you to show off your individual skills. We are proud to include not only pageant competitions, but competitions that enhance and develop the skills needed in everyday life. We live in a great era in America, an era where girls and women can make a difference. 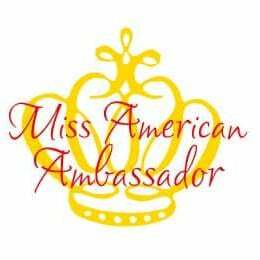 The American Ambassador Pageant System’s goals are to help promote girls, young ladies, and women to become great leaders within their communities. The American Ambassador Pageant System is not just a pageant, but a program. A program to inspire every girl, young lady, and woman to increase their confidence and self-esteem; to become more aware of their individuality, and what it brings to such a diverse nation; and to help them gain the skills to become our nations, next great leaders. How to compete in American Ambassador Pageant System?